NETWORKING IMPROVES PERFORMANCE. Nobody can do their job entirely alone, so that an employee with average ability but a rich network can actually outperform a genius with a weak network. The reason for this is not hard to find. Whatever you do for a living you are going to get stuck from time to time and need help. A well-connected employee needing help just asks their network and they get that help quickly. 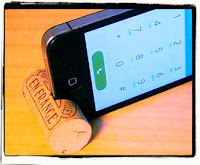 Others maybe send messages and leave voice mails but nobody gets back to them or they get back too late. This was one of the key lessons of the study How Bell Labs Creates Star Performers by Robert Kelley and Janet Caplan, published in Harvard Business Review in July 1993. 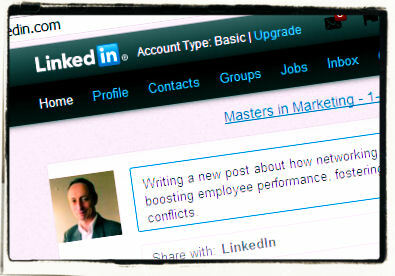 NETWORKING DECREASES CONFLICTS. Perhaps the least intuitive of the three is that networking reduces conflicts.This happens because when communities are connected by multiple links you are more likely to get less polarized opinion. In contrast when you have two communities linked only by a single "gatekeeper" then you are much more likely to get polarized opinions and conflicts. This was confirmed by research by Renaud Lambiotte and others at the University of Liege in 2006. You can read more in their paper Majority Model on a network with communities. For managers the lesson is that if you are not already actively encouraging a networking mentality now is the time to start. Make sure that you set a good example, make sure that your employees know that you expect them to network and make sure they know how to do it effectively. And for everyone else? Many companies already recognize the importance of networking so having a demonstrated ability to build and maintain an effective network is going to carry more weight when you are looking for a new job or a promotion. Faced with two identical candidates recruiters are much more likely to choose the one who is able to call on the support of an extended network. Now you know why. 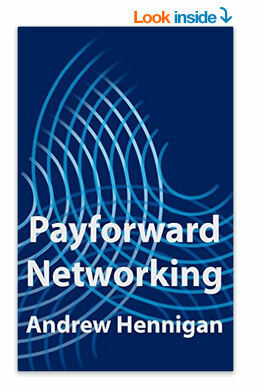 There's much more about professional networking in my book Payforward Networking on the Amazon bookstore in both paperback and Kindle editions. For lectures, workshops, coaching and writing about networking and other communication topics visit http://andrewhennigan.com, email speaker@andrewhennigan.com or call 0046 730 894 475.